I still can't believe Zoella Lifestyle is a thing, a beauty range was one thing but a home and lifestyle range is another level. I am still so proud of her so I couldn't pass another opportunity to pick up some of her new range. After a few struggles of finding stores that sell it and delivery issues, I finally got my hands on it. The whole range is gorgeous and right up my street, I wish I could off bought the whole range! The quote, first of all, just suits me perfectly, I love it!! The colours are also so pretty, grey, white and baby pink are my all time fav combinations, I think they work so well together. The back of the cushion is super soft, and would be great to lay on. However, I will say that I am slightly disappointed with the size and the front. For some reason, after watching Zoe's Apartment Tour I thought it was going to be bigger and maybe better quality. The back is so much more comfortable than the front which isn't a massive deal, I just thought it was going to be softer. Nevertheless, I do love it and it is a great addition to my room! You could use these for many things, keeping plants, pens etc They are super handy and fit perfectly with my room!!! YESS I GOT IT!! I GOT THE BACKPACK. When I saw Zoe posting this on Snapchat I fell in love. I have been looking for a new backpack so this was perfect, the price, however, was a little bit off-putting. Nonetheless, I decided to go for it as you do get a few bits inside. I love the adorable sayings and the colours, they fit perfectly in my new pots beside my bed! 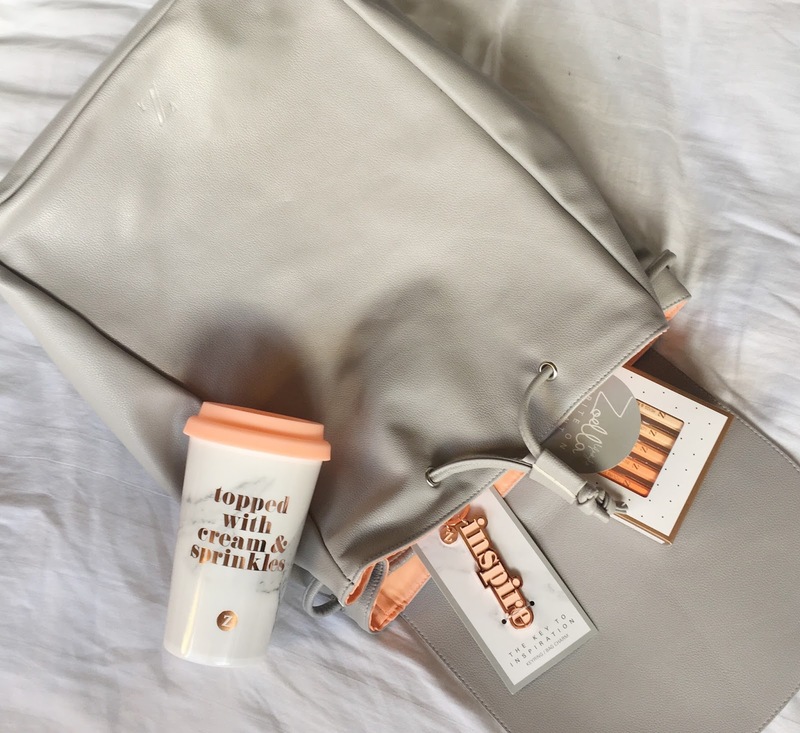 I love this, I have been looking at buying one of these so it is a win-win, I love how it is a screw lid so I won't have to worry it spilling and again the saying is too cute. Overall, I absolutely love the whole range, I wanted some of the candles but I feel that I have to go into Boots or Superdrug to give them a smell. 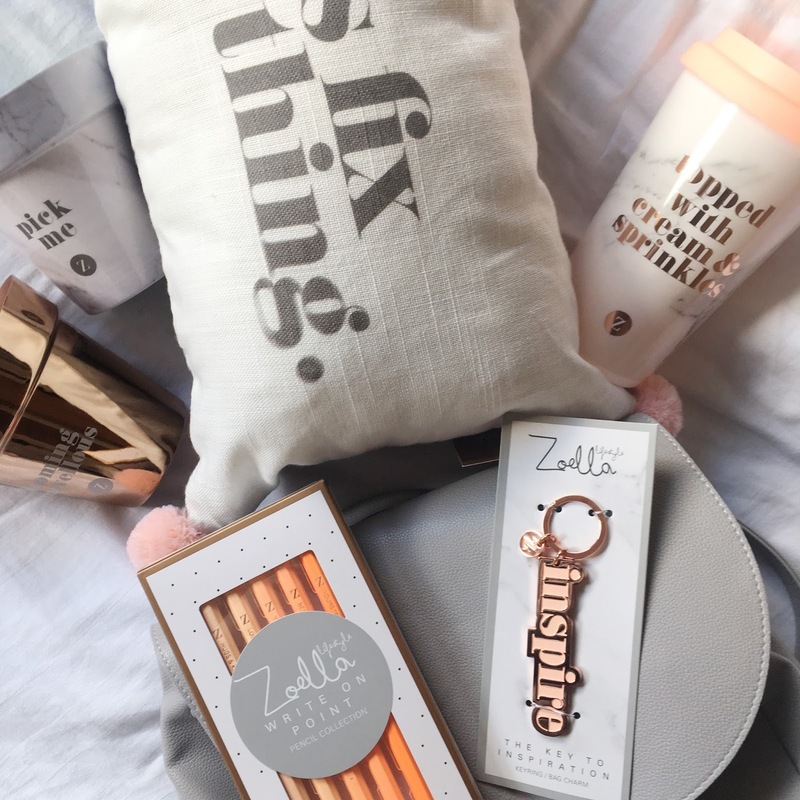 What I love the most is how simple the branded is, I was worried the name 'Zoella' would be splash everywhere but they have kept it very simple with a 'Z'. I am very proud and I hope Zoe keeps growing her profile! 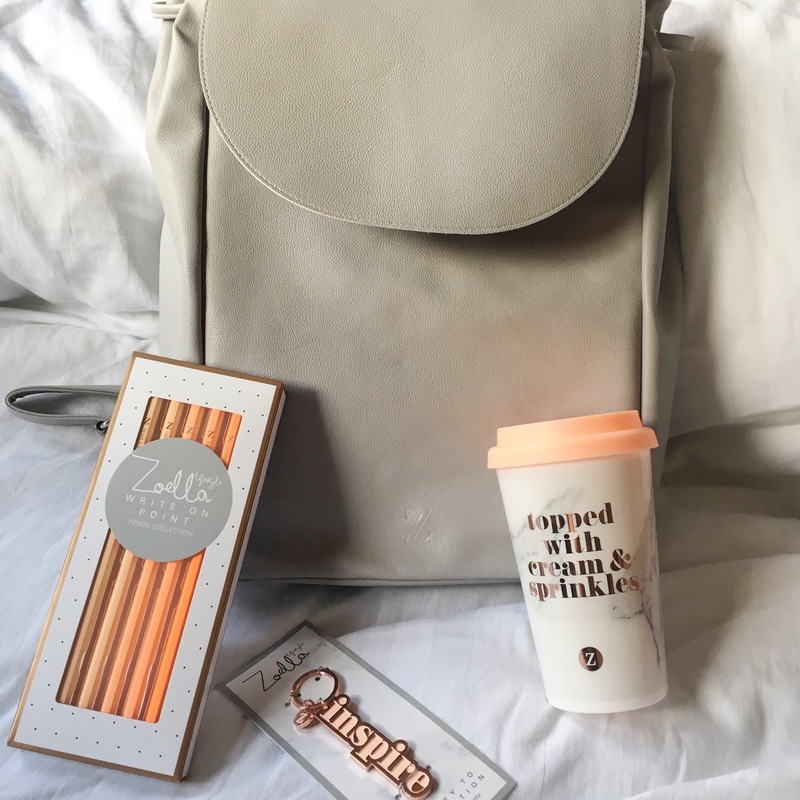 Have you bought anything from Zoella Lifestyle, Let me know what you think?? When I first saw the tweets about this lifestyle range I got so excited! So jealous that you already have these things, it looks amazing! Thanks for sharing! Thanks for sharing this - I'm so tempted to buy everything and this makes me want to EVEN more! Excellent post & your pictures are fabulous. I really need to work on my blog photography! 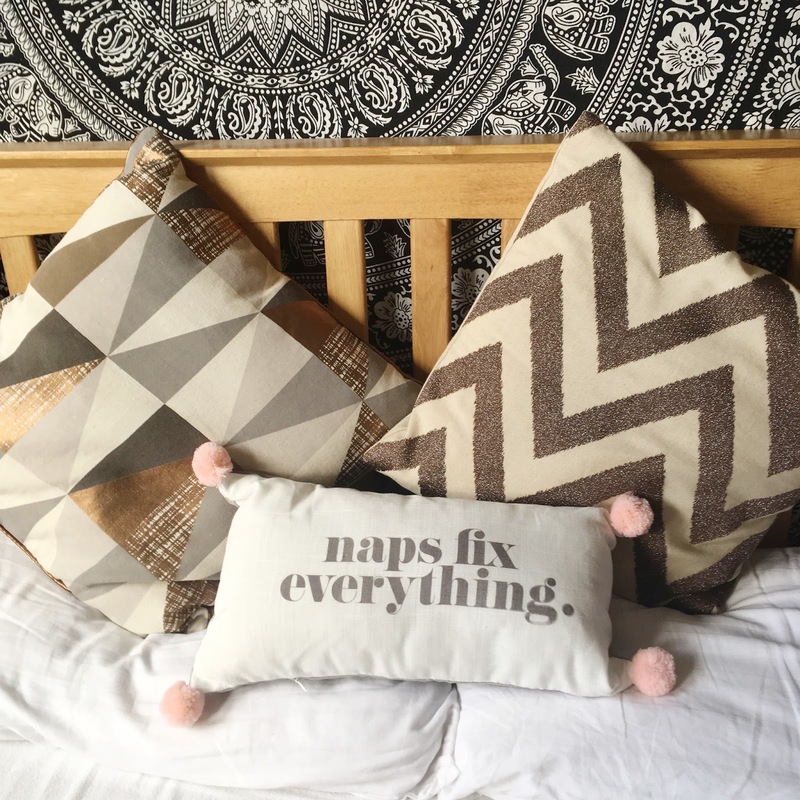 That naps fix everything pillow is my kind of thing! LOVE IT! Lucky you, that's quite a haul! 😍 The backpack is seriously adorable but I'm not sure I could justify a £50 price tag haha! Great post and photos. 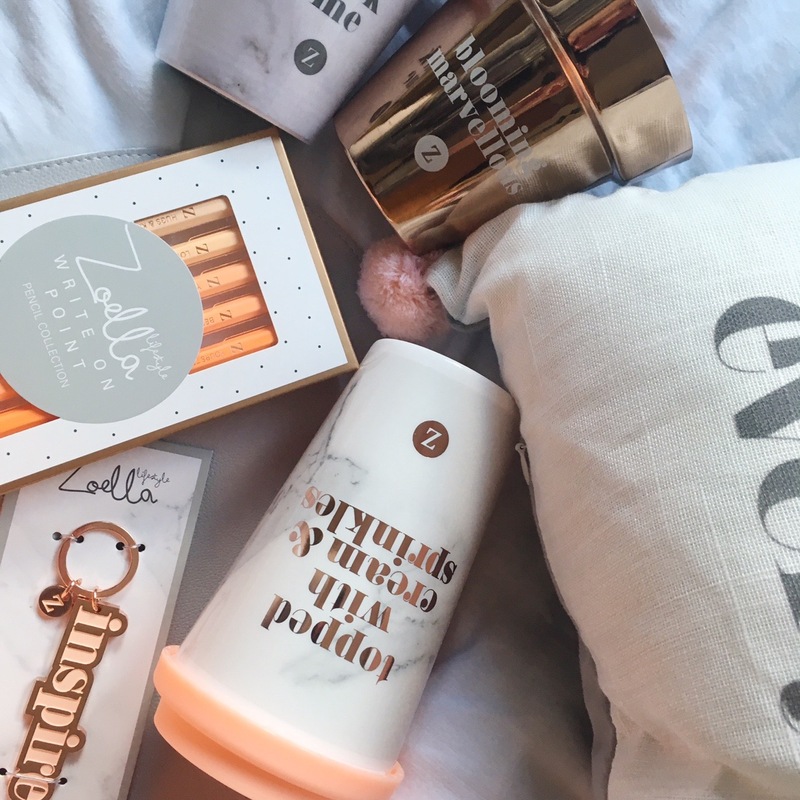 The Zoella home range looks lovely, especially the storage pots. All her products look so pretty, she's done a great job! I've been trying to get my hands on the pillow but its sold out everywhere! 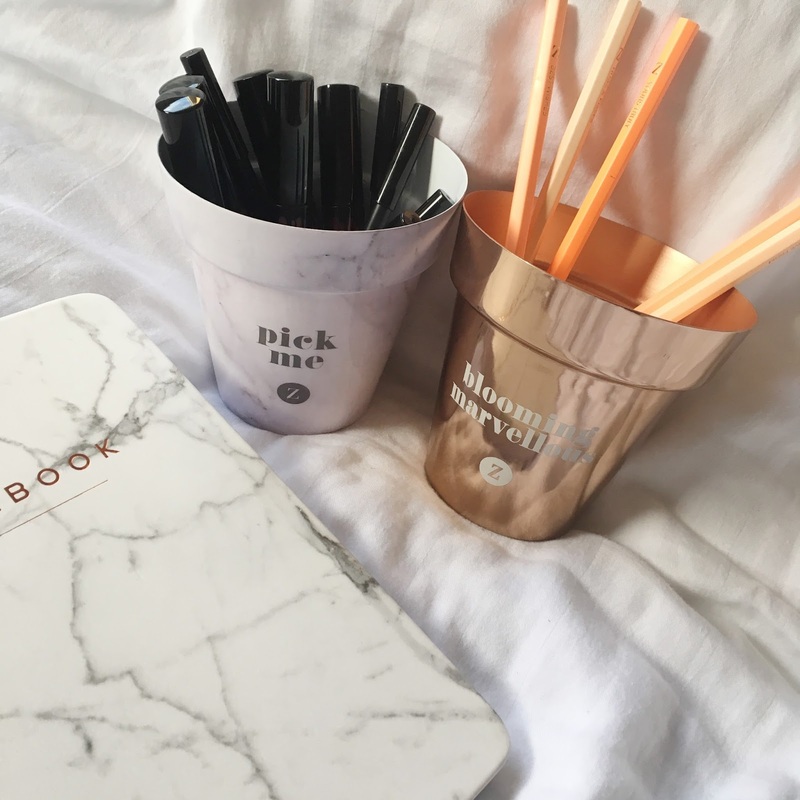 i want the cup and notebook to! When Zoella posted her video I just thought all of it looked so pretty - and now, what with your post, I just really want *all* of the pretty things! I want so much from this range! Love your photography! The pots look so cute!